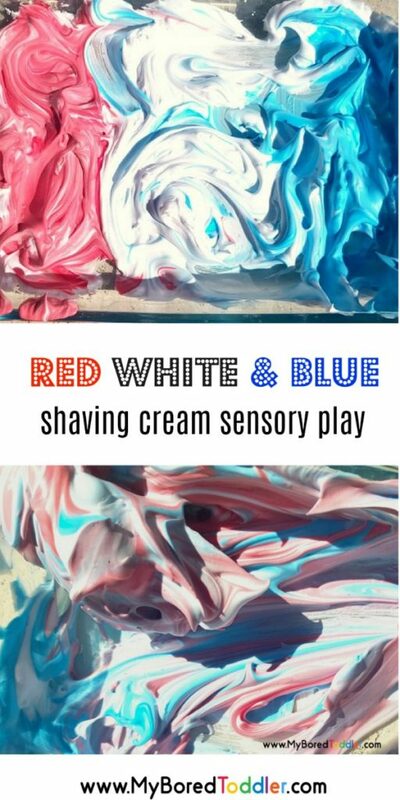 We always love to get messy with sensory play, and this red white and blue shaving cream sensory play is perfect for holidays like 4th July and Memorial day. 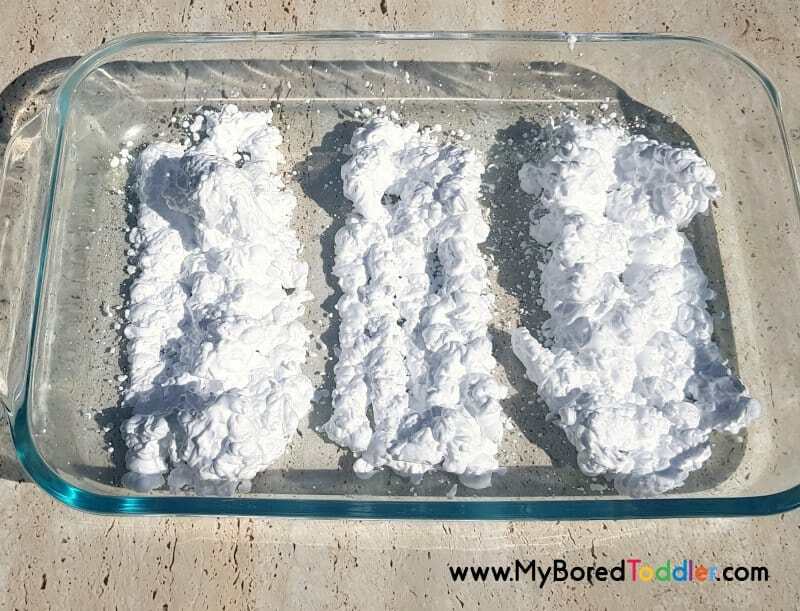 Suitable for toddlers and preschoolers, this is a fun and easy toddler activity that I know they’ll love! 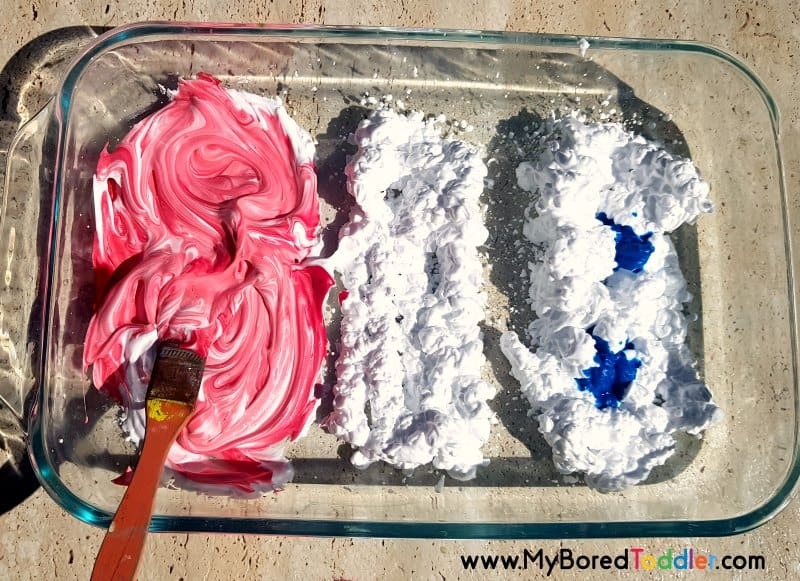 If you’ve never let your toddler play with shaving cream then you really should give it a go! 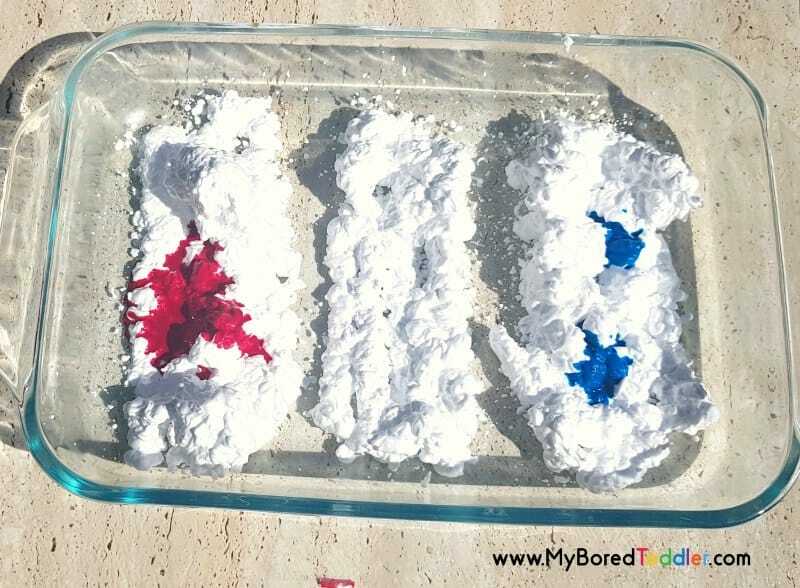 Its an easy toddler activity to set up, and one that they always love playing with. If you’re worried about them getting it in their mouth or eyes you can easily substitute with whipped cream instead. 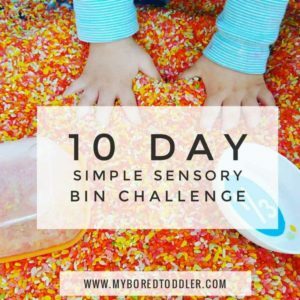 For this sensory bin I recommend keeping it small as you want to keep the mess relatively contained! 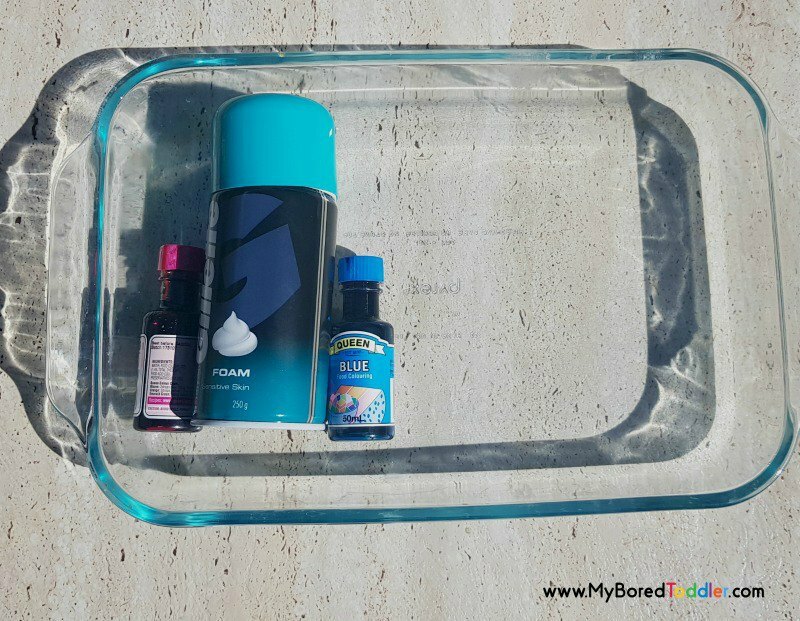 Fill your container with shaving cream in 3 lines. 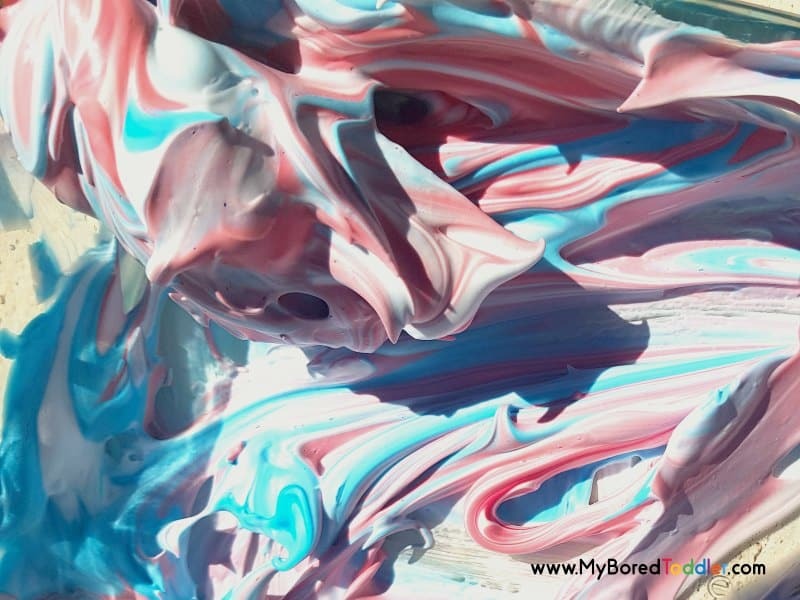 Mix the food coloring and the shaving cream together. 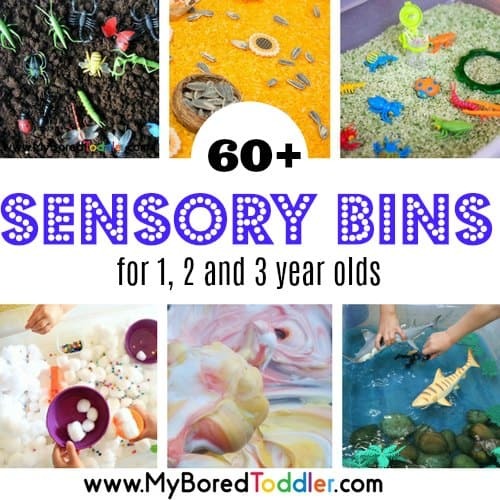 My children always love sensory activities like these ones. 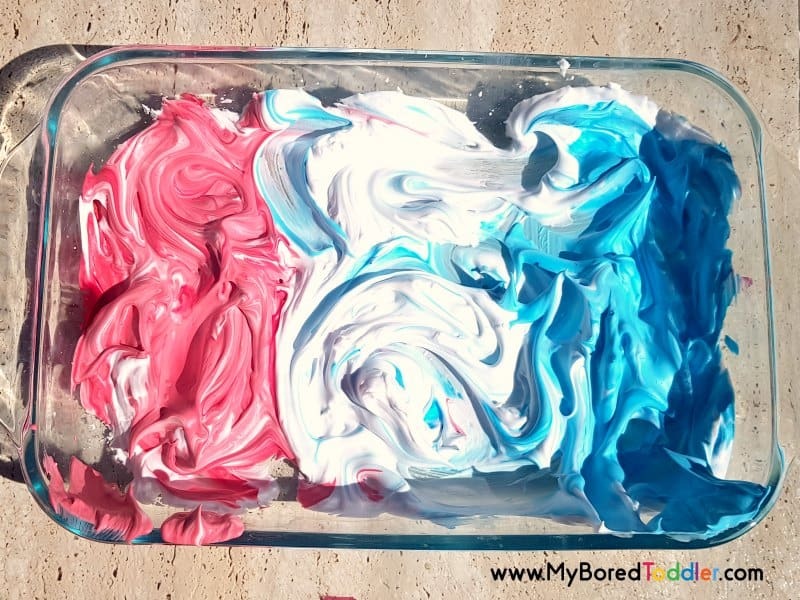 If you get a chance to try this activity, I’d love for you to share a photo in our Facebook group or on Instagram (use #MyBoredToddler so we can see them!). You can also sign up to our weekly newsletter or follow us on Facebook or Pinterest for more great toddler activities and ideas. 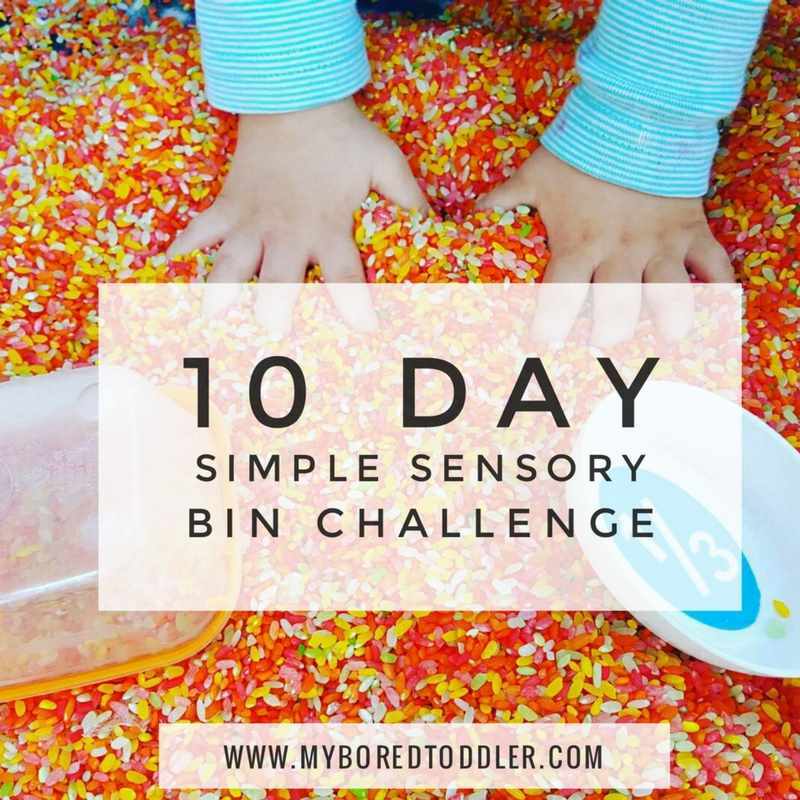 If you would like to involve more sensory bins in your toddler’s play you should try our FREE 10 Day Simple Sensory Bin Challenge. 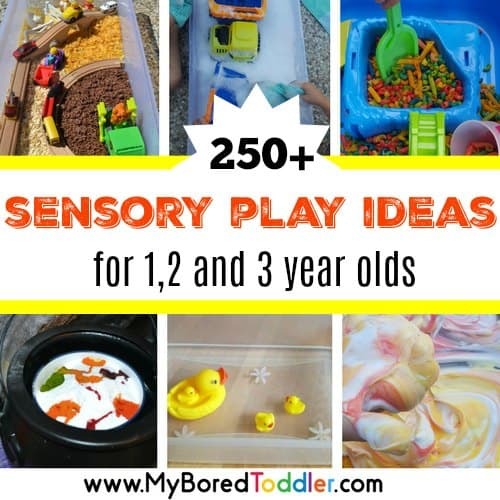 This is an EASY (I promise) way to get started with sensory play and you’ll see that it’s easier than you think. You can sign up HERE.